ASM / Re: Should I learn ASM? 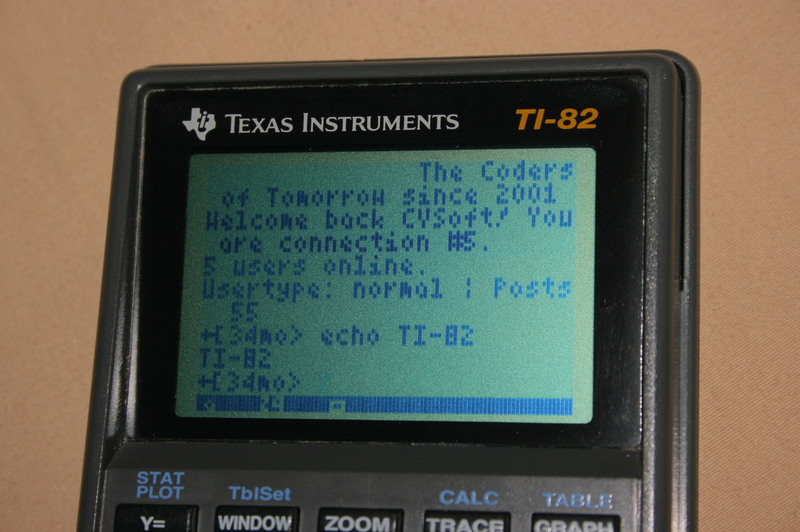 I got started on the TI-82 with the now very dated TI-82 Assembly Corner tutorial, but TI-83 Plus Assembly in 28 Days (which is currently being updated) is probably the best way to go for anything remotely modern. I'd suggest at least making an effort to learn it. It's well documented, rather straightforward, and very fast; however, it takes patience and practice to learn. The TI-83 Plus and TI-84 Plus are practically identical if you don't take advantage of features only the TI-84 Plus has. 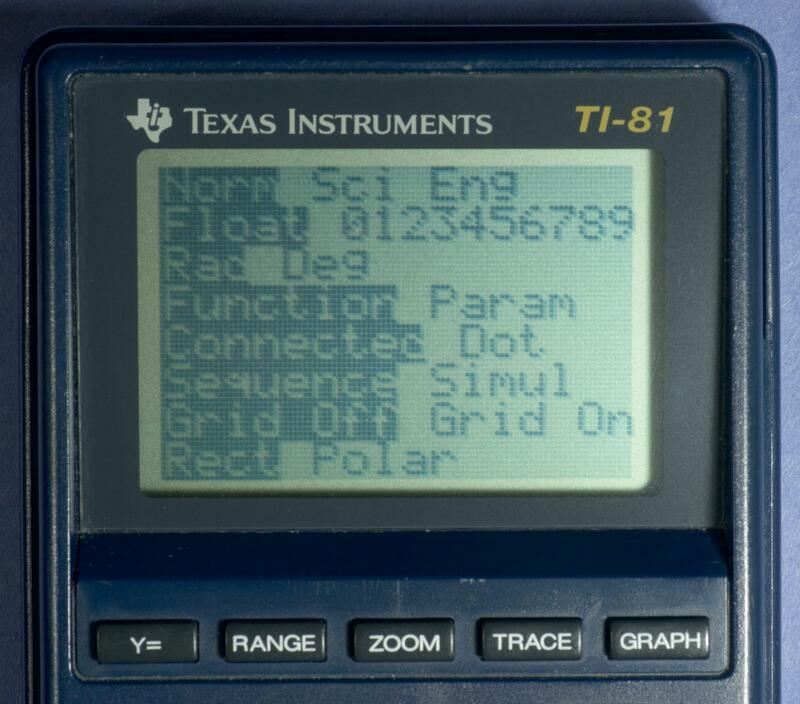 Even assembly with the TI-84 Plus CSE is only slightly different, due to the different display. The TI-84 Plus CE, however, is entirely different. TI-Nspire / Re: Is this forum dead? 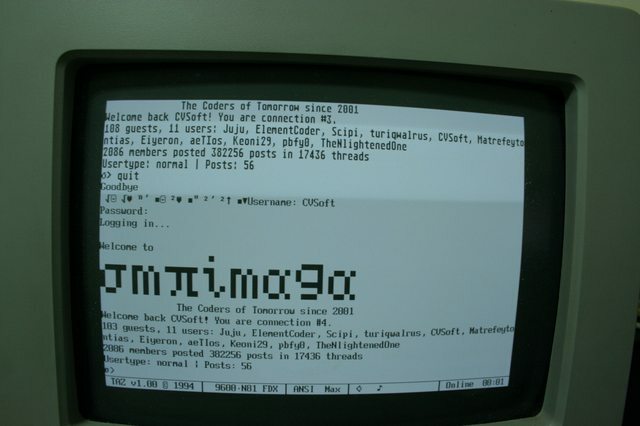 This place became a vacuum of culture after a lot of prominent users left. 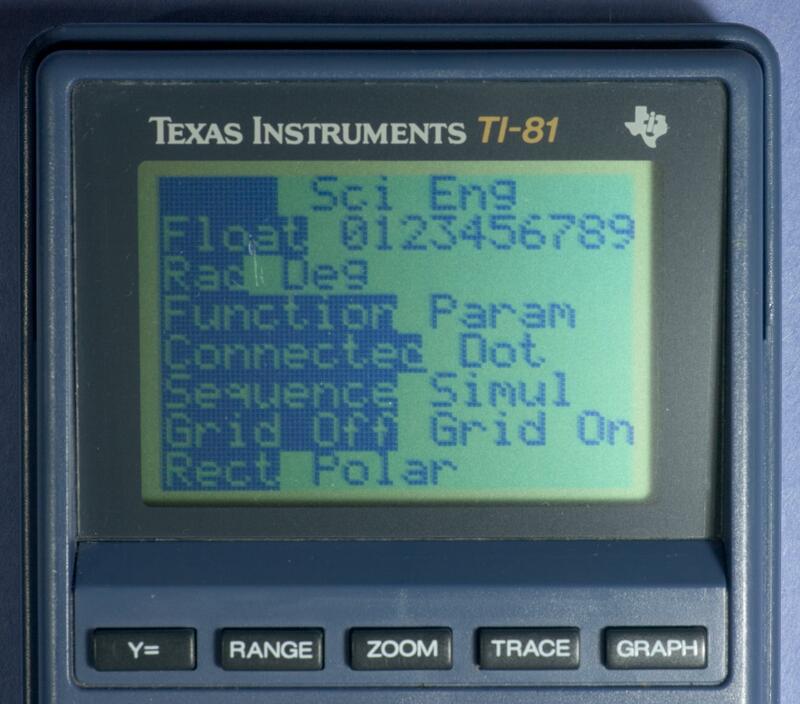 Other Calculators / Re: TI-81 Screen Types? 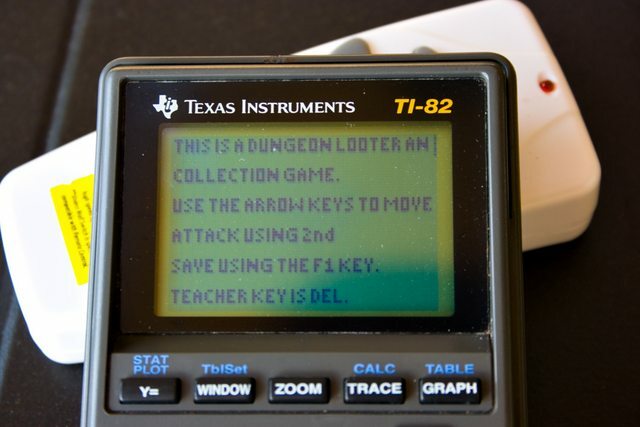 So, I guess there are some exceptions for calculators produced in the week or so when the TI-81 transitioned to the V2.00 hardware and new housing. Miscellaneous / Re: Should I change my profile pic to my student photo? A bunch of pictures of various calculator screens, contained in 40 MB of wonderful PNG quality, can be found here. Included are these two TI-81s, two TI-82s (one with old display hardware, the other with new display hardware), a first-generation TI-83, first-generation TI-85, and my Nam Tai-produced TI-86. Also of note is that there are 40 contrast steps on the HW-'B' TI-81, but just 10 on the HW-'F' TI-81. Hopefully this isn't too necrotic, but it's definitely relevant. 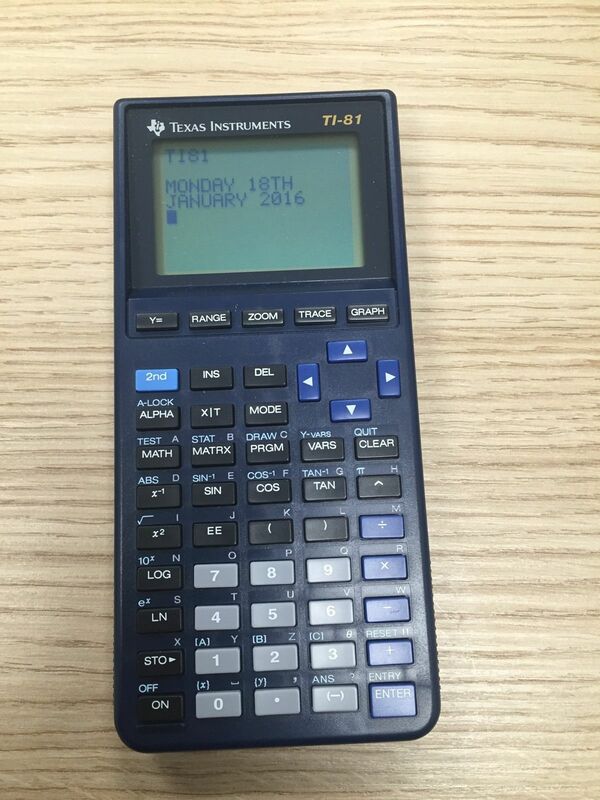 I picked up a TI-81, S/N 1210793 and an unreadable-from-pictures date code. It has the blue-on-green screen, and takes a backup battery. Once it arrives I will do some analysis of it. I have noted that the very early models (such as the pre-1991 models without a backup battery) with no letter after the date code have the gray-on-white screen seen on the later models. Using the blue-on-green screens must have been a short phase in the TI-81 life cycle. I'm not usually at my desk (mostly on my laptop (not the one in the picture (not that one either))) so it has mostly computers that people have given to me. PentiumII (leftmost desktop of the group on the desk) does just about everything poorly, and I use it almost entirely for IRC. It doesn't use much power (and it is going to use a lot less after its rebuild), and it is pretty convenient to use. It has Windows 98SE, 2000, XP, and 7 in quadboot; it runs legacy software when needed. My sub-gaming desktop in the middle actually has a longer boot-to-desktop time and longer time to get to IRC than PentiumII, but is at least an order of magnitude faster when it comes to things like video games. The rightmost desktop (you'll hear me refer to it as the CVDesktop) has 1.5 TB of storage, so it handles most of my network storage; uptime is above 99.8%. PentiumII handles the rest, storing less important things like schoolwork and old versions of my calculator software. The laptop on top of the desktops runs my IRC bouncer and CVBot, also above 99.8% uptime. If I'm truly doing two things at once that require significant (my standards aren't high, web browsing falls under this category) processing power, I use the Sun Ultra 20 occupying the left half of the smaller desk. It isn't connected to the KVM switch, and thus has its own setup. It's also convenient if I have a friend or someone that needs to use one of my computers. 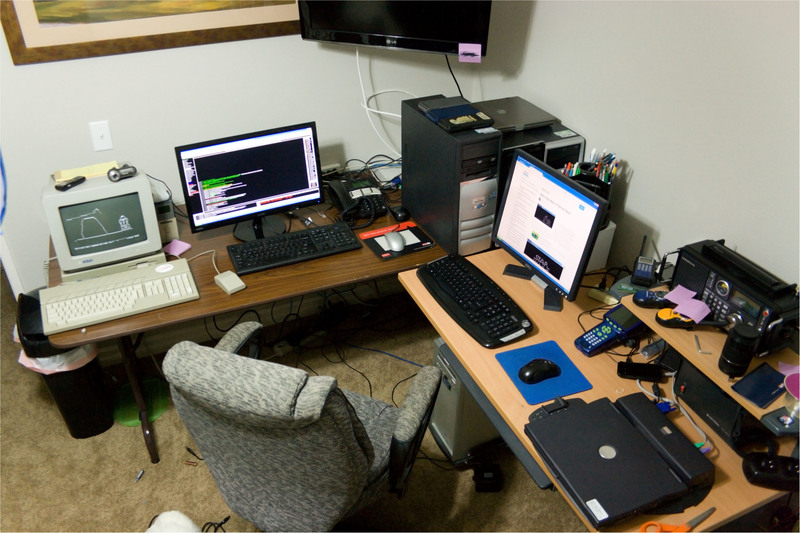 The docked laptop on the right side of the smaller desk is rarely used, it serves as a backup for CVBot in case the hard drive in the primary laptop dies again. Still a bit messy but everything is up and running. I've gotten rid of some computers since my last post here, and I got my Atari Mega ST4 back up and running (again). Also, 1920x1080 . My TI-82 wasn't old enough. 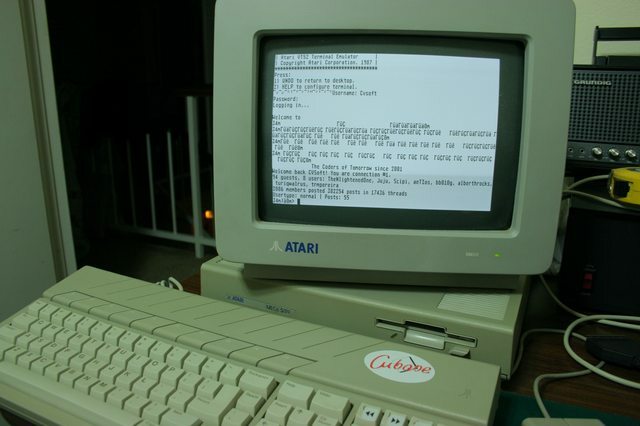 EDIT: Using TAZ in IBM/ANSI mode is the best way to go for Atari use. I was quite worried about this when I began the porting process, but despite being a TI-84+CSE project the only real issue I've run across is the lack of lists to write save data to. Ooh that would definitively be nice. Also, by doing this this makes it even easier to port it to the 82 Stats/83 since it also runs 82 games IIRC. But it already runs on 83, since I did almost all of the bugfixing on my trusty TI-83 Classic. The 82 port is based off of it. Seems that 123outerme has beaten me in announcing this, but I'm posting anyways. Having code access, I have been working on a complete TI-82 port; there wasn't anything in the source that would break compatibility besides a lack of effort. I've gotten about one third of it done as of this posting, and I'll be spending the next 72 hours getting the levels ported over. Porting over θDEF, as of 0.8.8.1, is completely feasible. However, I'm waiting to do this until the first several levels are finalized due to the amount of code that would otherwise have to be re-typed in. Additionally, as you can see in the above screenshot of 0.8.8.1, graphscreen text uses a different font, requiring a bit of reorganization of text. But hey, it runs. I joined the beta testing team earlier today; I plan to work on code optimization and compatibility assurance. I'm currently looking into the feasability of a TI-82 port.